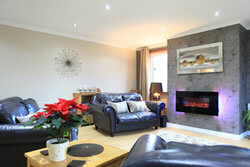 Quality self catering holiday house located close to Fort William in the stunning West Highlands of Scotland. 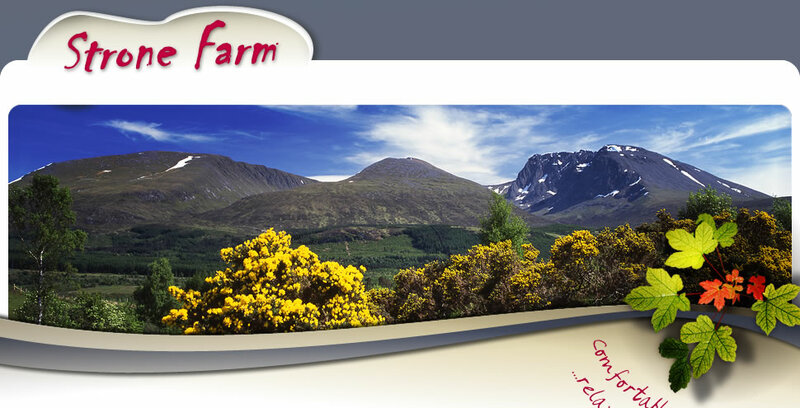 Strone Farm House is situated on the upper banks of the Caledonian Canal, some seven miles north of Fort William in the Great Glen which runs from Fort William to Inverness and Loch Ness. 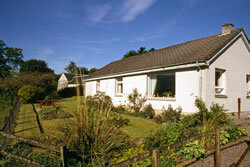 The bungalow comfortably sleeps six adults in three en-suite bedrooms (2 double and 1 twin room). 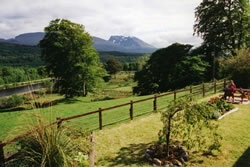 From the side windows in the large spacious lounge there are beautiful views up the Great Glen with the River Lochy and the canal in the forefront, while from the picture window there are the most spectacular view of the Nevis Range with the north face of Ben Nevis clearly visible. Fort William, the Outdoor Capital of the UK is centrally situated to allow the visitor easy access to many beautiful parts of the Highlands. Within an hour and a half, you can be in places of such diverse interest as Oban, Morar sands, Aviemore, Loch Ness or on the boat to Skye!